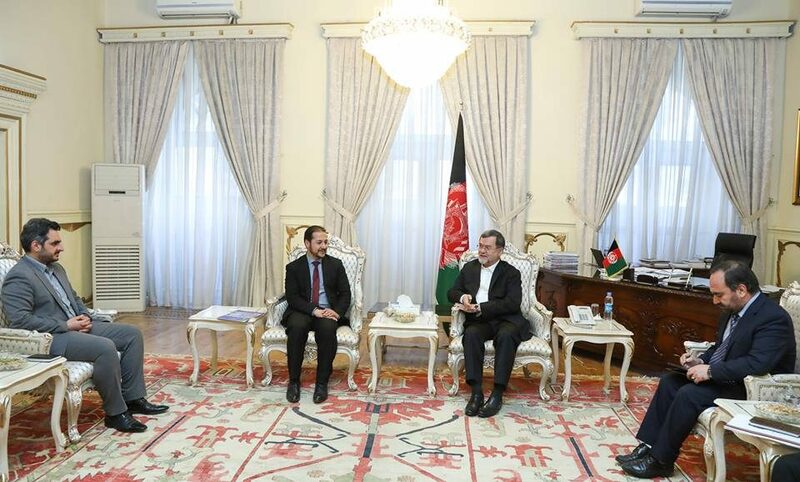 KABUL: Vice President Sarwar Danesh in a meeting with Kabul mayor Ahmad Zaki Sarfaraz stressed on acceleration of works on roads connecting to Shaheed Mazari Road. Pointing to starting work of the newly-appointed mayor, Danesh hoped that the New Year would be a year full of achievements for Kabul municipality in the field of delivering services to the city residents. “Construction of 20m Irfani road, construction of the rest of Mazari road, construction of Mahtab Qala-Company road and Kabul ring road were all development programs for Kabul’s west, but no satisfactory developments have been seen in this regard,” Danesh said. He asked Kabul mayor to accelerate the implementing process of development programs in particular construction work of Irfani and other roads connecting to Martyred Mazari Rd. In the meeting, Kabul mayor Ahmad Zaki Sarfaraz and deputy of Kabul municipality Shoib Rahim briefed related to development programs of the municipality, saying that construction work on Irfani and the rest of Martyred Mazari road was under procurement review and would be soon ready for contract.